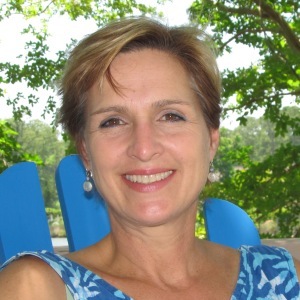 As a past two term president of the Pamlico County Board of Realtors and through her active involvement with governmental, civic and community organizations, Angie enjoys playing a role in making Pamlico County a wonderful place to live and raise children. She takes pride in introducing people to Oriental, Pamlico County and all of Eastern North Carolina. Often, you will hear Angie say, “Finding the right property is easy when people fall in love with our communities and way of life.” From art and music to golf and sailing, there is something for everyone. When Angie is not involved in real estate or planning an event, she is playing golf with her husband, Allen, or on the water with her family and friends. She loves taking her 19 foot boat and cruising the ICW dolphin watching, taking day trips to the beach or just having fun in the sun with the girls. (Sometimes with the guys too.) Family dining on the back porch while watching the moon rise over the water and enjoying the fragrance of gardenias and Carolina jasmine are special moments for Angie and the family because the beginning of summer is here again. Nothing could be finer…. Meet the entire Mariner Team - click here.